Unfortunately, I have been following the News of late, and with some personal disgust, have had to watch the Republican Tax Bill, which was written in secret, and pushed through the House and Senate for final signing, become law. It puts the country into more debt, while giving a tax break to the very rich and largest corporations. The new tax bill lowers the tax rate for top earners, and gives a massive tax cut to corporations. Starting on Jan. 1, 2018, big businesses’ tax rate would fall from 35 percent to just 21 percent, the largest one-time rate cut in U.S. history for the nation’s largest companies. Seems like the swamp didn’t get drained after all. “Whenever an ācārya comes, following the superior orders of the Supreme Personality of Godhead or His representative, he establishes the principles of religion, as enunciated in Bhagavad-gītā. 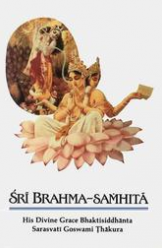 Religion means abiding by the orders of the Supreme Personality of Godhead… Unfortunately, when the ācārya disappears, rogues and nondevotees take advantage and immediately begin to introduce unauthorized principles in the name of so-called svāmīs, yogīs, philanthropists, welfare workers and so on. uttiṣṭha—please get up; uttiṣṭha—please get up; rāja-ṛṣe—O saintly king; imām—this earth; udadhi—by the ocean; mekhalām—surrounded; dasyubhyaḥ—from the rogues; kṣatra-bandhubhyaḥ—from the unclean kings; bibhyatīm—very much afraid; pātum—to protect; arhasi—you ought. The main business of human society is to think of the Supreme Personality of Godhead at all times, to become His devotees, to worship the Supreme Lord and to bow down before Him. The ācārya, the authorized representative of the Supreme Lord, establishes these principles, but when he disappears, things once again become disordered. The perfect disciples of the ācārya try to relieve the situation by sincerely following the instructions of the spiritual master. At the present moment practically the entire world is afraid of rogues and nondevotees; therefore this Kṛṣṇa consciousness movement is started to save the world from irreligious principles. Everyone should cooperate with this movement in order to bring about actual peace and happiness in the world.